Insect infestations can be a huge problem. Dozens of uninvited (and mostly creepy) guests moving about your house is certainly not a welcoming sight! The problem just keeps getting worse if you do not take measures to curb it right away. While ladybugs may seem harmless and pretty, you still don’t want them flying about your house, especially if you have curious little toddlers who will be more than willing to pick up and squish these tiny creatures. Ladybug infestations can be a serious issue and need to be tackled before things get out of hand. The culprit behind most infestations is not the traditional bright red bug with black spots. Another form of this insect, called the Asian lady beetle, is known for invading houses to hibernate in winters. These have a brownish-orange shell. Asian beetles look for a warm and comfortable space in the winter, so they make their way inside your house through entry points likeplumbing, doors, windows, gaps, cracks and utility lines. They are attracted by illuminated surfaces. So, if your house has a light-colored exterior, it is more susceptible to a ladybug infestation.They are also attracted to heat and warmth, so you’ll probably see them near heat sources. Ladybugs and lady beetles are not really harmful. In fact, these tiny creatures are popularly called a ‘gardener’s friends’, as they help get rid of harmful pests like spider mites and aphids. Unlike most pests and insects, ladybugs will not damage or destroy your stuff. These insects do not carry any diseases or infections. However, some people may complain of allergic reactions to ladybugs. Asian lady beetles may sometimes get aggressive and bite. The bite is quite harmless and only causes momentary irritation. The only problem you are likely to face during a ladybug infestation is the yellow stains they may leave behind on your clothes, walls and furniture. On sensing danger, these tiny insects let off a foul smell and secrete a yellow fluid that stains the surface. Lady beetles multiply pretty quickly. So if you see a few bugs crawling here and there inside your house and don’t really consider it to be a problem, think again. Before you know it, they will call in their friends and you’ll be stuck with dozens of bugs all over the place! Fortunately, it is not that hard to get rid of lady bugs . If you are reluctant to use chemical-laden sprays and repellents and do not wish to call in pest control, there a number of other organic methods that will help keep the ladybugs away. Here are a few highly efficient home remedies that you can use to get rid of lady bugs. 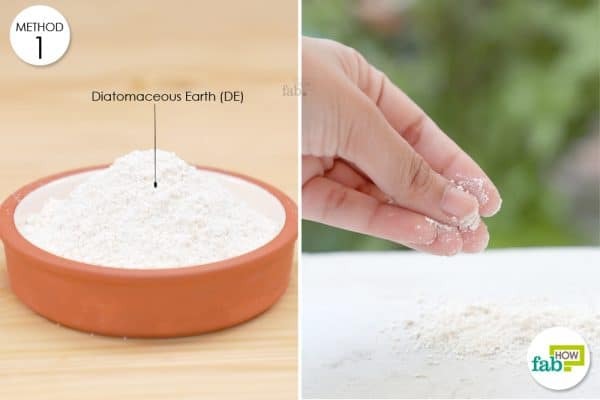 Diatomaceous earth (DE), a natural pest deterrent, is made of fossilized remains of algae. How does this work? The razor sharp edges of DE allows it to make its way through the bug’s exoskeleton and absorb the liquids present in its body, causing death due to dehydration. The best thing about this remedy is that it is absolutely harmless for you and your pets. Line the sides of your house with DE to keep away all kinds of insects. Whether the ladybugs are thriving outside in your garden or yard or they have made their way indoors, this insecticide will help you get rid of them in no time. Sprinkle diatomaceous earth at entry points to your house, such as windowsills, doorways or any cracks or gaps in the walls or foundation. 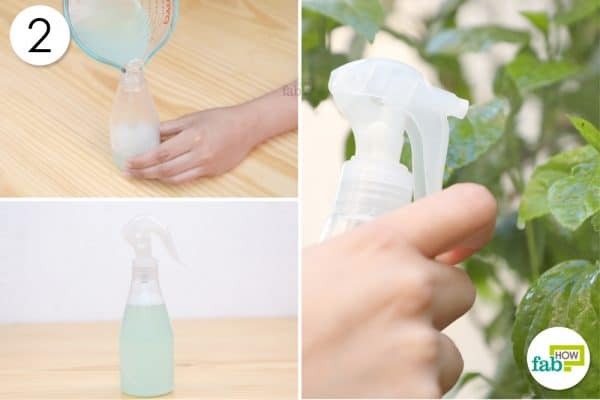 This highly effective and easy method can be used for getting rid of a number of insects and pests. Ants, cockroaches or any other insect that tries to enter your home through areas where DE is sprinkled will be killed too. Neem oil is known for its medicinal properties. But did you know it is a very effective natural insecticide as well? It contains a number of compounds like azadirachtin, nimbin and nimbolide with insecticidal properties. Neem oil can disrupt the life cycle of insects and bugs and curb them from becoming a problem for you. This extremely useful bug repellent is biodegradable, nontoxic, environmentally friendly and absolutely safe. Moreover, it does not harm bees and other beneficial insects. 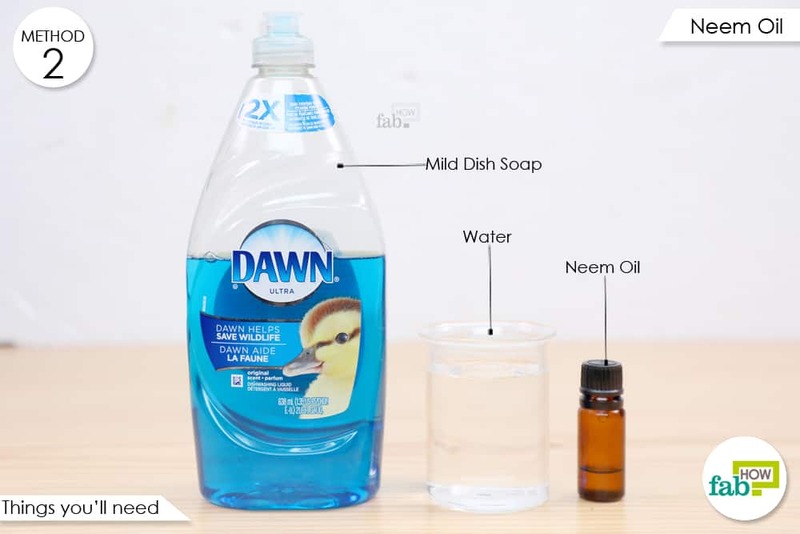 Mix 10 to 15 drops of mild dish soap and 5 to 10 drops of neem oil into 1 cup of water to make a solution. 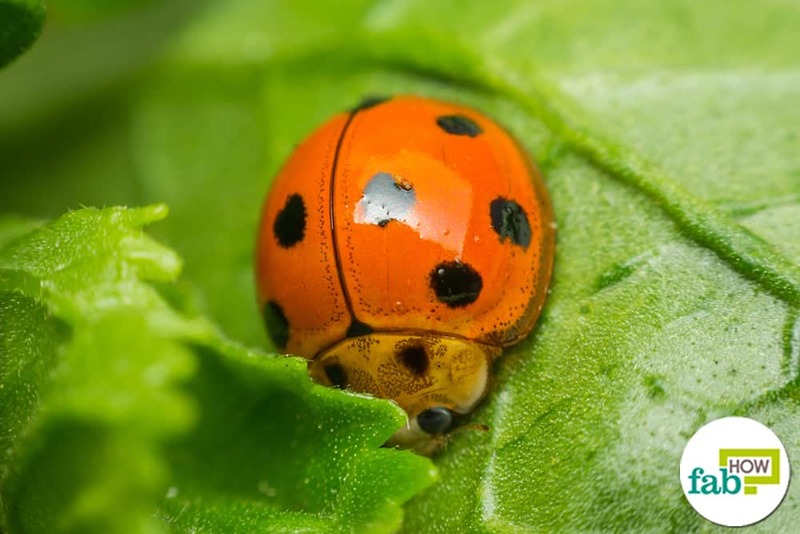 Spray the solution on plants or areas where you spot ladybugs. You may also pour the neem, soap and water solution on the soil. A combination of borax and baking soda is another workable remedy to get rid of lady bugs. 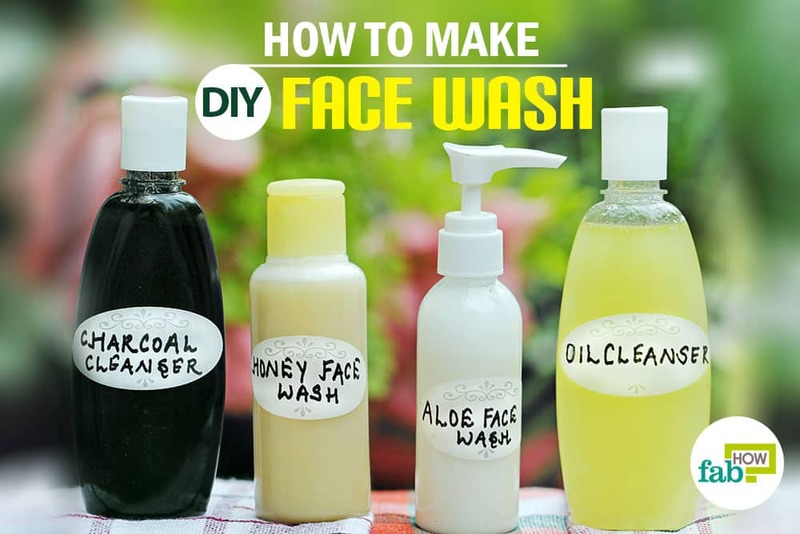 This method is perfect for those who want to repel the bugs without causing them any harm. Do not use this mixture directly on the body of the ladybugs. The insects will sense danger and stay away. 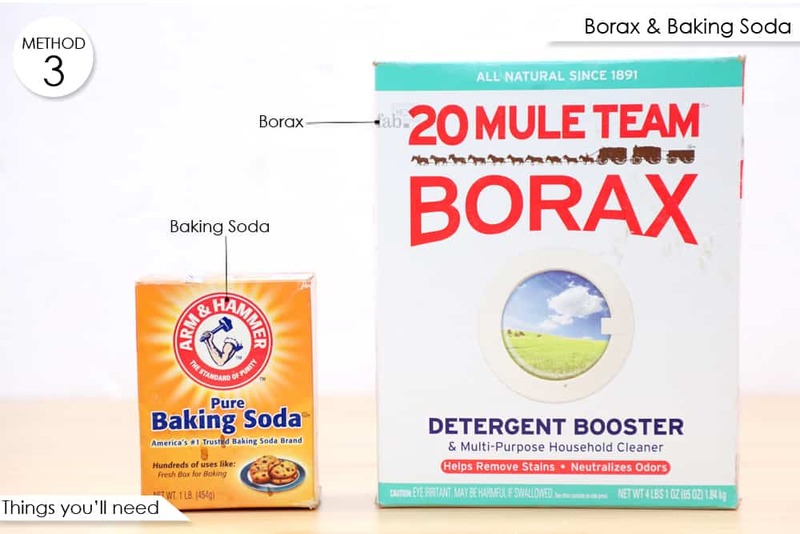 Borax and baking soda are readily available and highly effective for keeping away insects. Mix the borax and baking soda in equal amounts. Sprinkle the mixture around areas frequented by the ladybugs. Lemon has a long list of benefits. 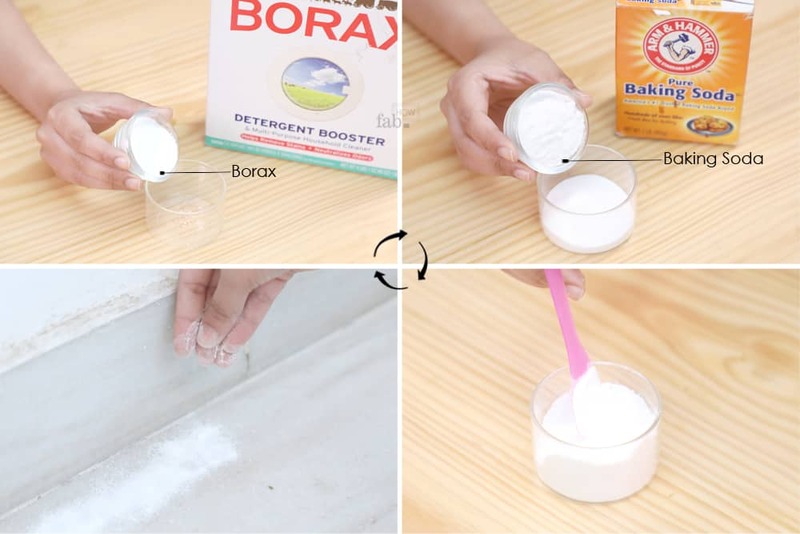 It is an antiseptic, stain remover, cleansing agent and more. It is also an easy and inexpensive way of keeping away insects and bugs. 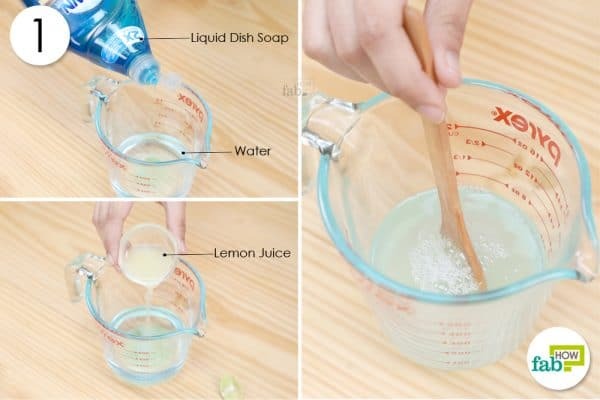 While moth balls and bug sprays are loaded with chemicals, lemon is a natural way to get rid of insects and pests without having to worry about side effects. It works well in taking care of small infestations of leaf beetles, aphids, ants etc. One thing that ladybugs and beetles cannot withstand at all is a strong scent. The citrus smell will help keep these insects away for good. Add ½ tablespoon of liquid dish soap and 1 tablespoonof lemon juice to ¾ cup of water. 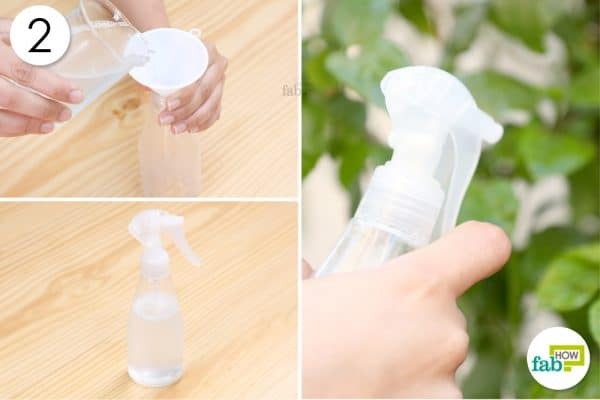 Spray the solution on areas where you spot the ladybugs as well as directly on the ladybugs. Use a vacuum cleaner to remove the deceased bugs. The odor of the lemon spray will help prevent future ladybugs infestation. You may also spray citrus scents or burn lemon-scented candles around your house to keep away Asian beetles and ladybugs. Vinegar is known for its quality to irritate and repel insects, such as ladybugs. 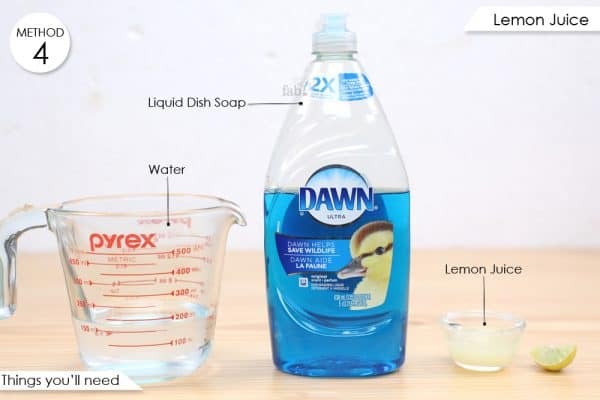 Spray the vinegar and liquid dish soap solution on areas where you spot the ladybugs. 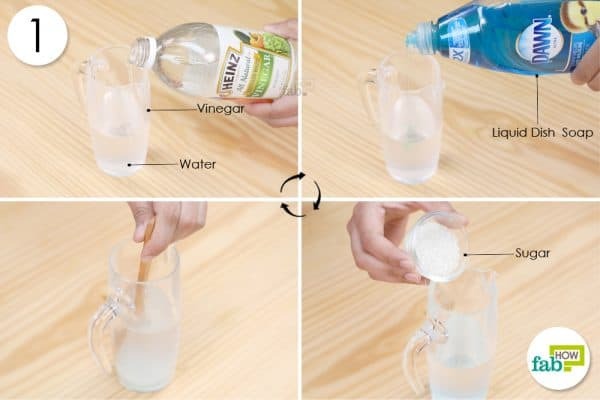 This remedy will help you get rid of these insects in no time! 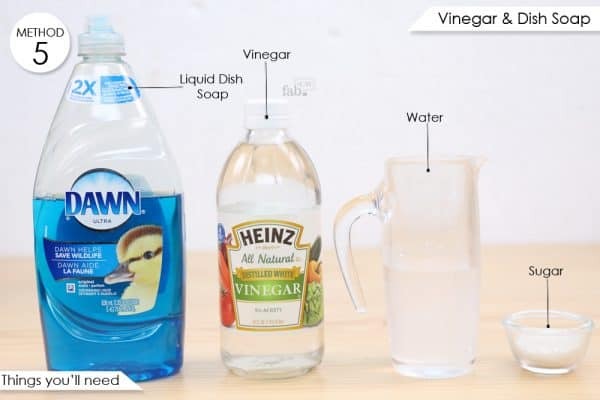 The smell of the vinegar may seem a little strong initially, but you will not really mind it after sometime. Add 1 tablespoon of vinegar, 2 or 3 drops of liquid dish soap and 1 tablespoon of sugar to ½ cup of water. Spray it on the areas infested by the ladybugs. This is another highly effective, chemical-free method of removing these unwanted pests from your house. Ladybugs are attracted to light, so this remedy works well in dealing with ladybug infestations. 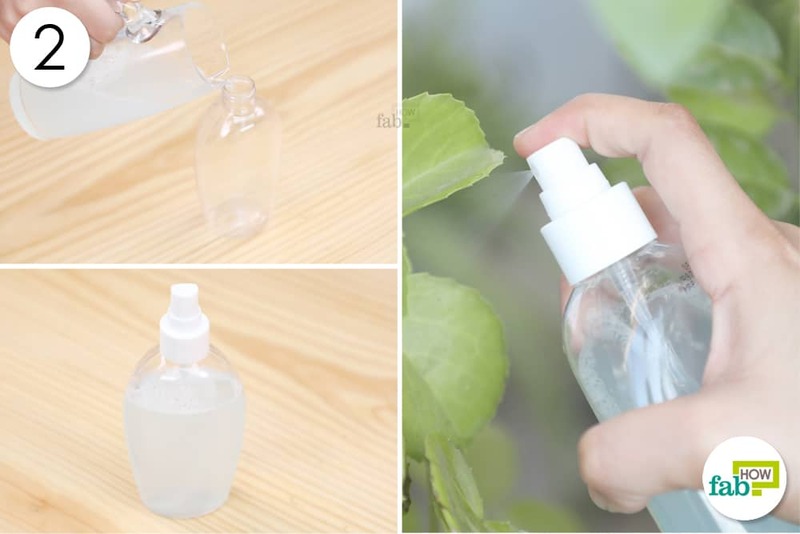 This is a greatway to catch the bugs without killing them, so that you can release them later in a safe spot far from your home. Cut a 2 litre plastic bottle at its neck with a craft knife. Remove the cut part and set it aside. Wrap the base of the bottle with electrical tape to make it completely opaque. 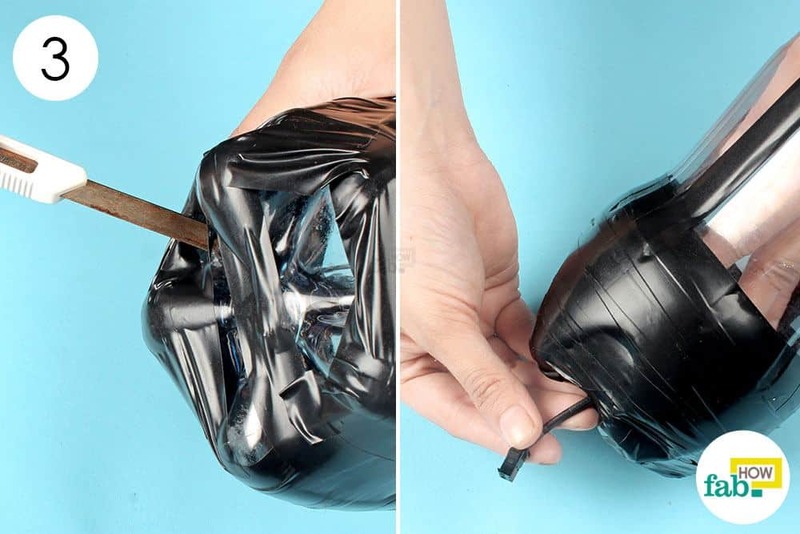 Mask the bottom of the bottle up to 3 inches from the base. Tape four stripes vertically on the bottle at equal distances. Poke a small hole at the bottom of the bottle to let the wiring through. 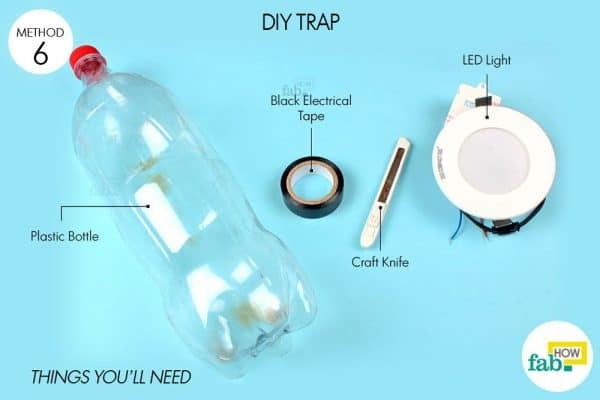 Insert the LED into the bottle with the light side facing upwards. Pull the wiring out of the hole at the bottom. 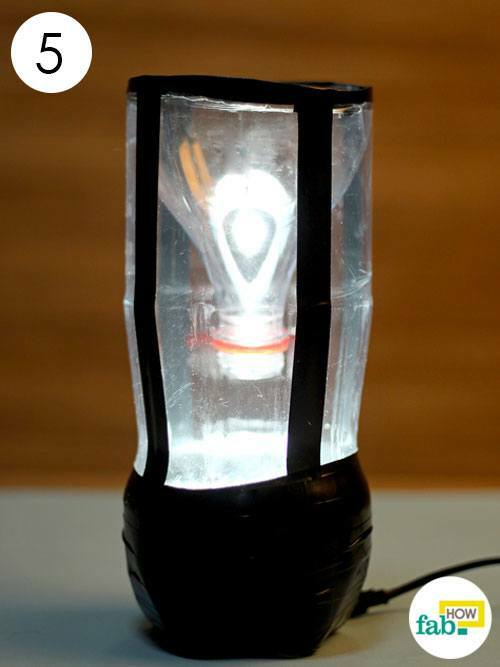 You don't have to make a hole at the bottom if your LED light is battery-operated. 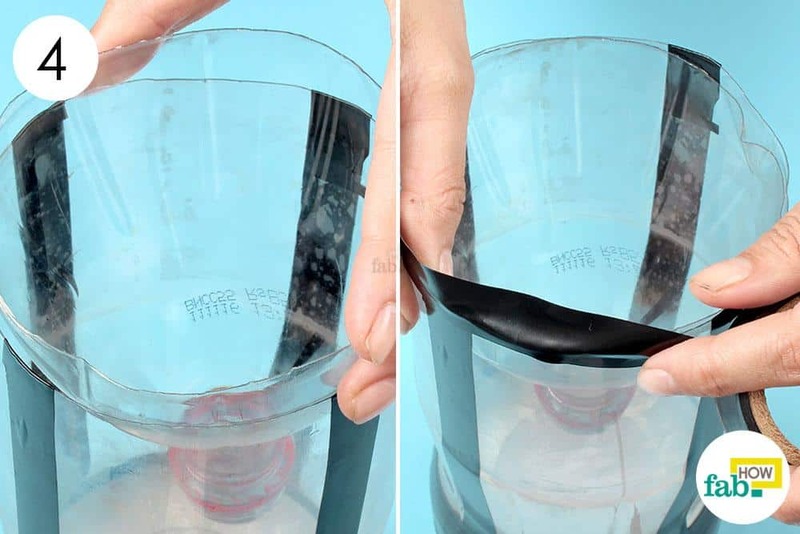 Place the the cut off neck of the bottle inverted over the top of the bottle. Secure it with black electrical tape. Set the light trap in a dark corner in the area where you have spotted the ladybugs. 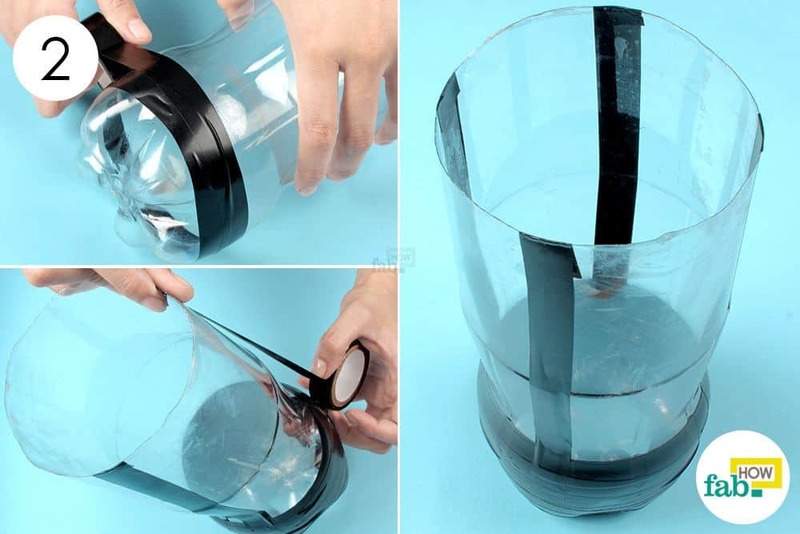 The bugs will be attracted to the source of light and fall into the jar through the funnel. 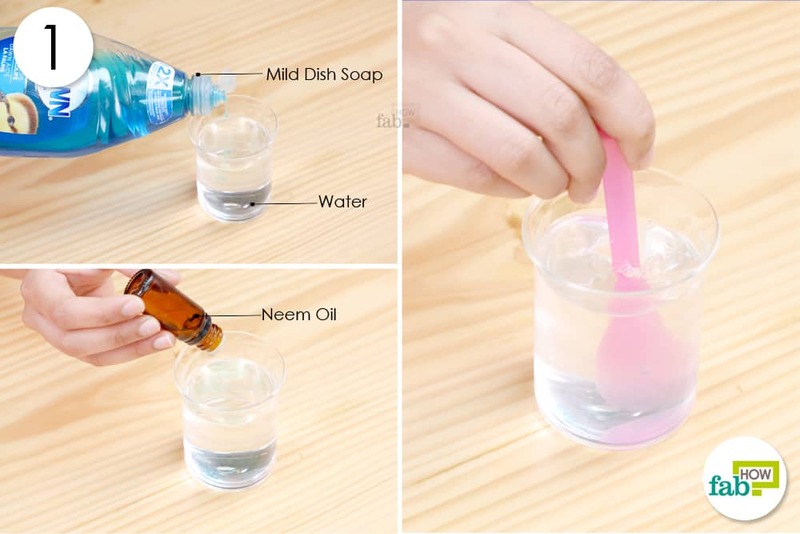 You may line the jar with orange oil or neem oil in order to trap the insects inside. You can toss the trapped ladybugs in the trash. Empty the trash immediately so that the insects do not escape. Once you notice ladybugs crawling about your house, you need to act fast. These insects multiply very quickly and before you know it, they may spread across all parts of your house. They communicate with each other through their scent, and if a few of them find their way inside your house, the rest will soon follow. Block the entry points these creatures may use to come inside your house. Take care of all the gaps and cracks and avoid leaving doors and windows open. Another effective method to get rid of lady bugs is a menthol and camphor spray. Add some camphor to one part water and mix some menthol into the solution. Pour the solution in a spray bottle and use it in areas where the beetles are likely to hide. One of the easiest methods of getting rid of ladybugs is a vacuum cleaner. You may toss the vacuumed bugs in a trash can. However, you need to empty the trash immediately or the insects may escape.